Tucson, Arizona’s second largest city, is home to world-class golf, hundreds of miles of hiking and biking trails and an unmistakably western heritage. The University of Arizona brings life to the desert city, and ensures the presence of a youthful spirit. 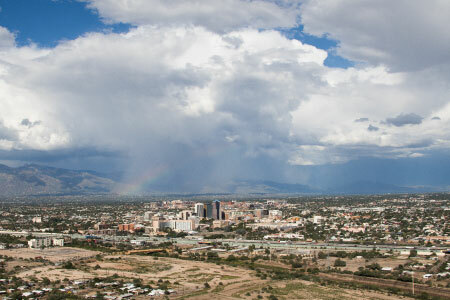 As Tucson’s NBC affiliate, KVOA serves more than a million people. It is Tucson’s second-oldest TV station, dating back to September 1953. The station brought the first live TV event to southern Arizona: the 1954 World Series. KVOA consistently delivers the stories that people care about, and a highlight of its top-rated newscasts is News 4 Tucson Investigators, the station’s award-winning investigative unit. KVOA prides itself on its community engagement, and partners with organizations including March of Dimes, Special Olympics, Toys for Tots and many more.